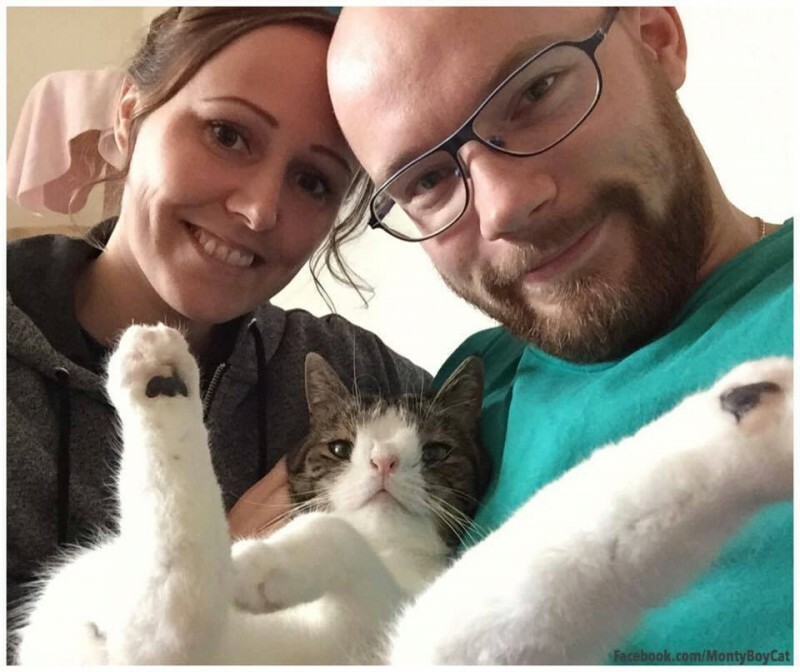 This Couple Thought They Were Adopting A Kitten Like Any Other. Little Did They Know They Were Wrong. Michael Bjorn and Mikala Klein are a young couple from Denmark. They live together with a small family of cats. 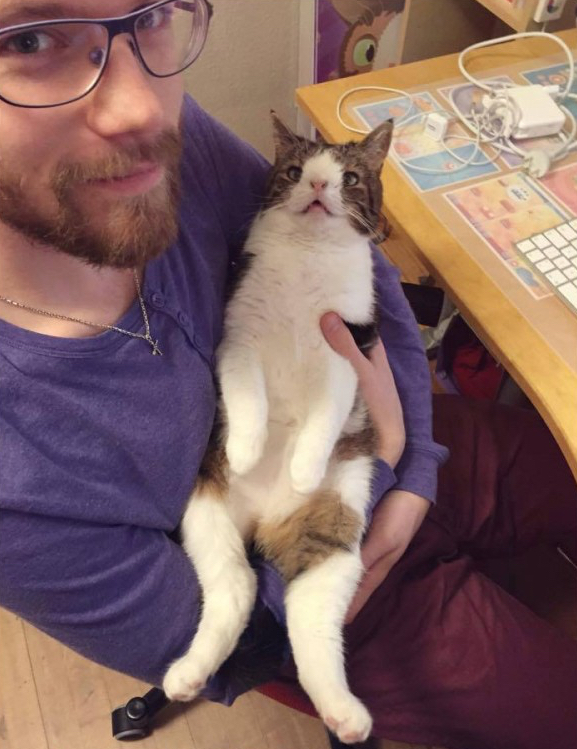 One day, they decided to adopt another kitten named Monty. 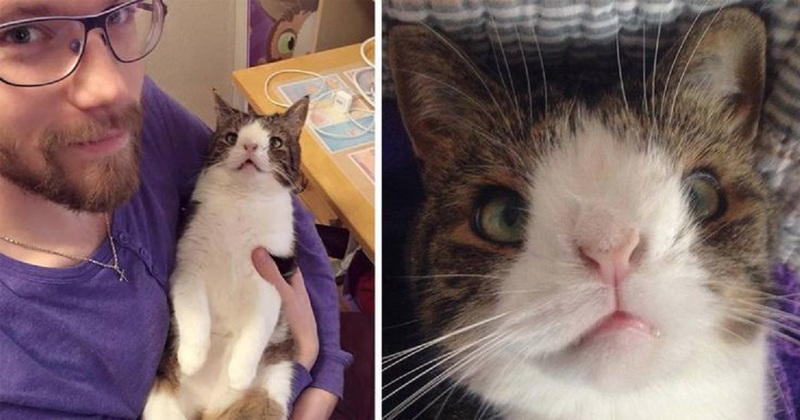 They never could've imagined what they would later find out about this grey and white cat. 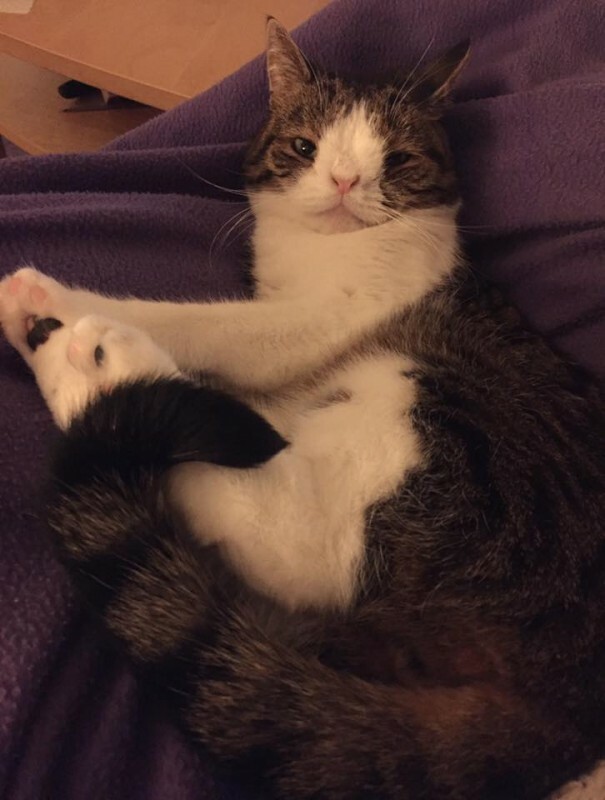 Monty had lived in an animal shelter for years. 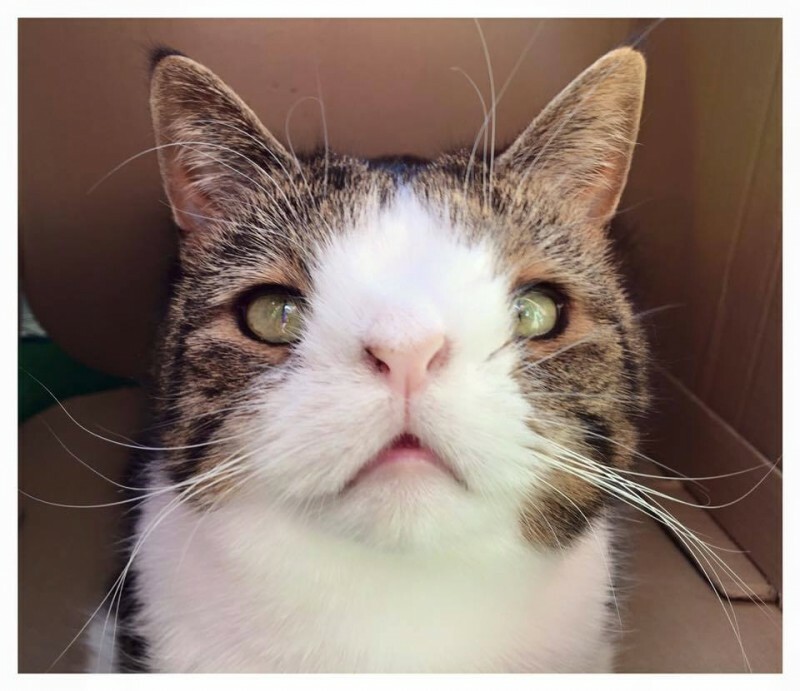 No one wanted to adopt him, because he looked a little different than the other cats due to a missing bone in his nose. But Michael and Mikala were taken with him at first sight. They immediately brought him to his new home, but soon thereafter they discovered something was off. Monty went to the bathroom just about everywhere except the litter box. At first, his new owners thought he was just trying to mark his territory. The young tomcat was most likely trying to establish himself in among the other cats. Michael and Mikala were frustrated that they kept finding puddles all over the house and they considered giving Monty up to new owners. The couple tried to find a suitable family where he could be happy. But in the end, they decided they couldn't just give up on the little guy. So, they took him to the vet and finally found out why we had been behaving so strangely. It turns out that the Monty has trisomy 21. That means that he has an extra copy of his 21st chromosome. In humans, this is known as Down syndrome. Monty is a rarity - there are only a few animals in the world with this unique genetic sequence. 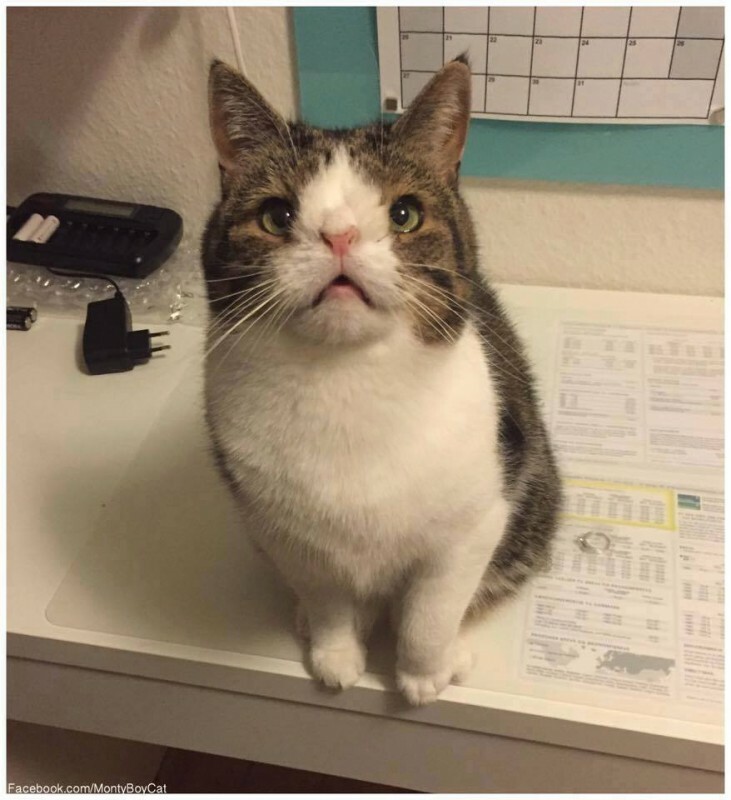 Finally, his owners understood why Monty was acting so differently than the other cats and having accidents all over the house. Monty is a loving member of this young family. He's happy to play with his owners and the other cats in the house. He has already won over the hearts of thousands on his popular Facebook and Instagram accounts! Monty is so beloved, in fact, that Michael and Mikala started a "Monty" brand with clothes, toys, and cards featuring Monty's sweet face. All of the proceeds are donated to the shelter where Monty used to live. 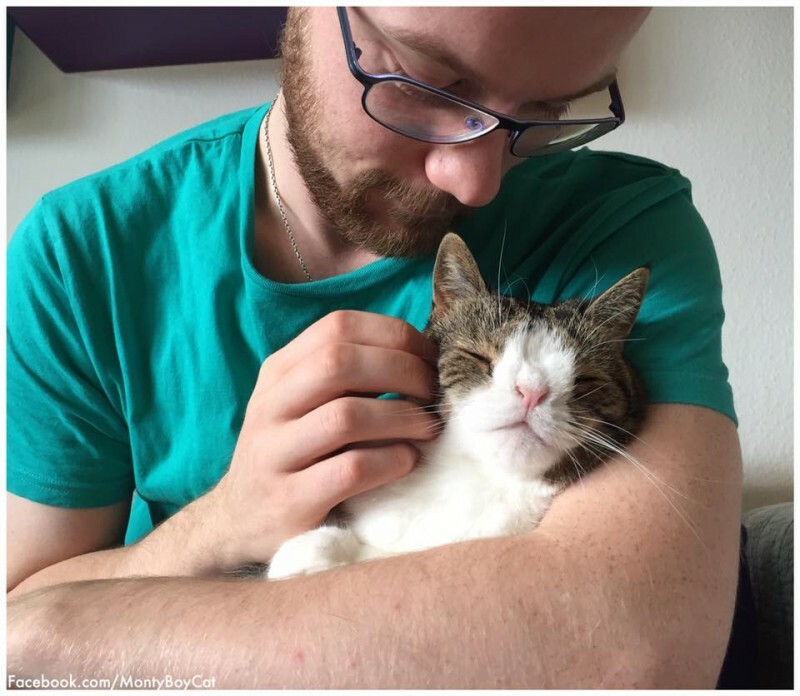 Monty is a happy cat and is living like a king in his new home. 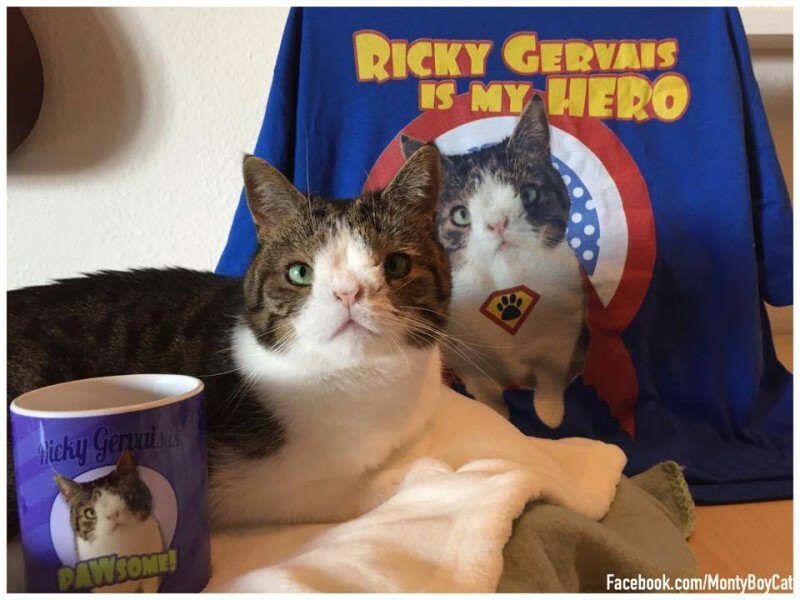 Who would've imagined this special cat would capture the hearts of so many?